April 10, 2019 - Pöyry announced that it has been awarded a services assignment by Voith to carry out the detailed engineering design of an XcelLine paper machine that Voith supplied to Grupo Gondi's new Papel y Empaques Monterrey (PEM) paper mill in Northern Mexico. The new machine, PM 7, will have a working width of 6,660 mm at the reel and a design speed of 1,200 m/min. The machine will produce testliner and corrugated medium with basis weights in the range of 90 to 250 g/m2 and have the capacity to produce 400,000 metric tons per year. Pöyry said the scope of their work includes all engineering disciplines as well as field engineering. Start-up of PM 7 is expected to take place in early 2020. 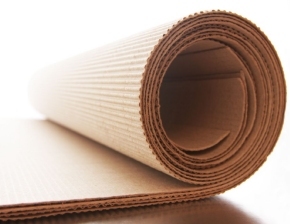 Voith Paper is part of the Voith Group and a leading full-line supplier as well as pioneer in the paper industry. Through constant innovations Voith is optimizing the paper manufacturing process and facilitating resource-conserving production. To learn more, please visit www.voithpaper.com. Pöyry is an international leader within engineering, design and advisory services. To learn more, please visit: www.poyry.com.